The modern style. The top-notch materials. The versatility. These are three of the many reasons we love Italian furniture. Do you need a few of your own reasons? 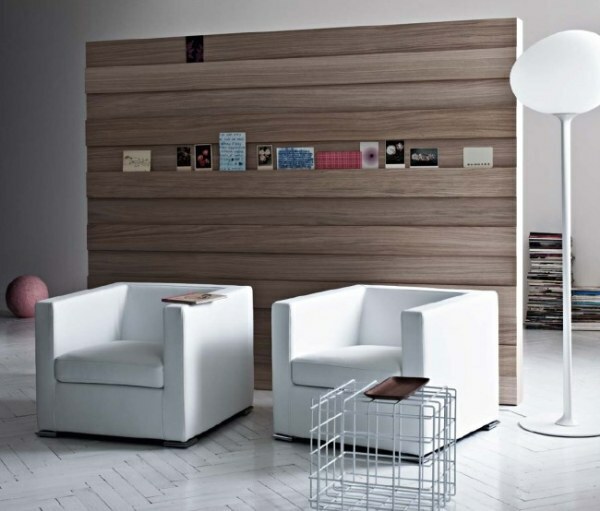 How about the fact that many Italian pieces can be customized to meet the needs of your space?! 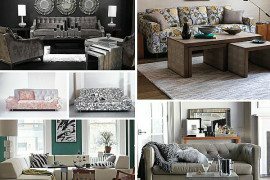 Check out the furnishings below for design-fabulous ideas and inspirational decor. 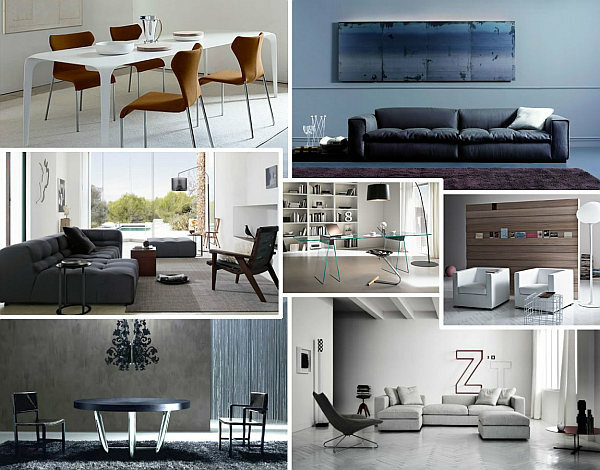 Today we spotlight 5 Italian furniture manufacturers and their stellar offerings. 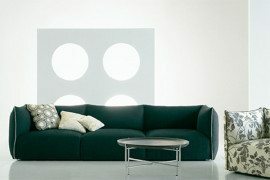 Need a modular sofa? 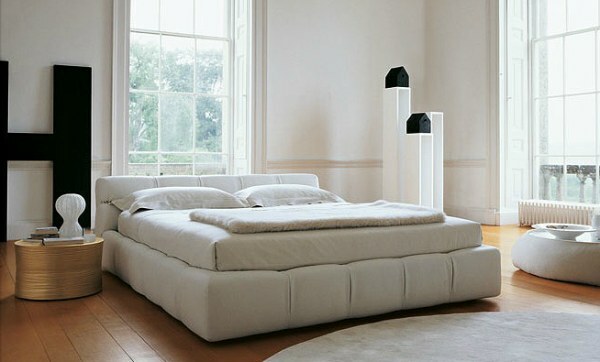 What about a designer bed? From lacquer to leather, these amazing selections feature alluring colors and textures. Never have chrome, glass and tufted fabric looked so good! 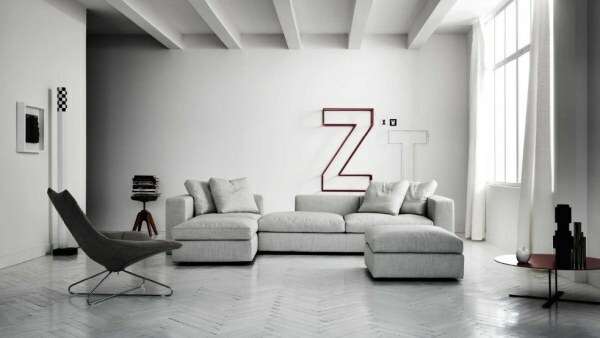 Founded in 1966, B&B Italia honors the history of Italian design with a collection of first-rate furnishings that includes sofas, chairs, tables, beds, wall systems and accessories. 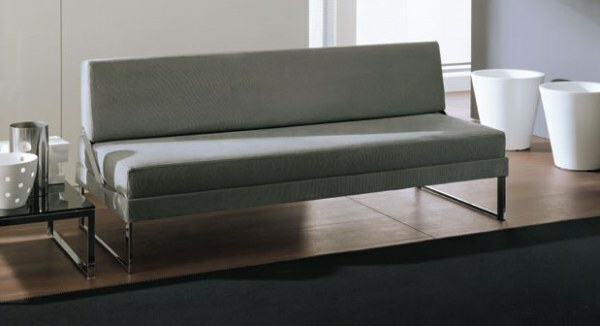 Modern design is king at B&B Italia, as evidenced by pieces like the Luis sofa, shown below. A modular item that can be arranged in a wide variety of configurations, the sofa is available in two seat depths, as well as two height variations for the back and armrests. Not to mention, there’s a floor-mounted version, as well as the option of a metal base. 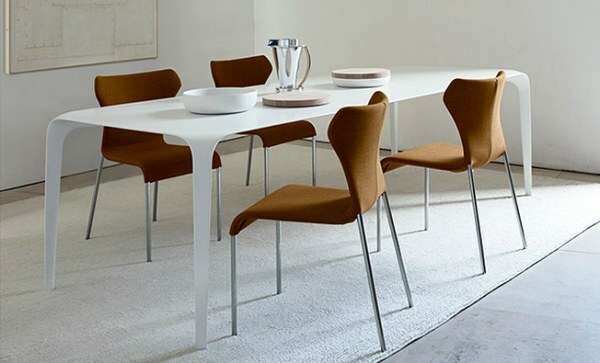 Comfortable and soft, yet modern and linear, Tufty-Too is another example of the stellar seating available at B&B Italia. The piece can be ordered in a range of fabrics, with the option of stitching in a contrasting color. 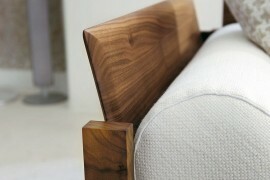 Speaking of tufts, we now turn our attention to the Tufty Bed, which features a series of pleat-joined squares. More good news: the piece is available in fabric or leather. A pronounced platform and plush appearance make this bed irresistible. The star of the dining room below is Link, a table with a striking molded form that boasts an absence of visibly joined parts. The result: a unified piece that is rectangular, white, smooth and sleek. Looking for a little contemporary drama? 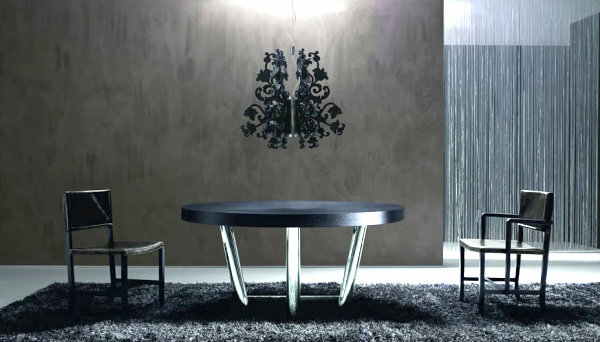 Try the furnishings of Designitalia, which takes pride in being a virtual modern Italian furniture boutique. Featuring a selection of living room, dining room, bedroom and children’s room furniture, Designitalia also offers complements like gifts, art and accessories. The black modern dining table below is just one of the many standouts! Four drawers, prominent wood grain and metal feet are highlights of the next piece, a wooden chest equipped with a shock-absorbing closing system. 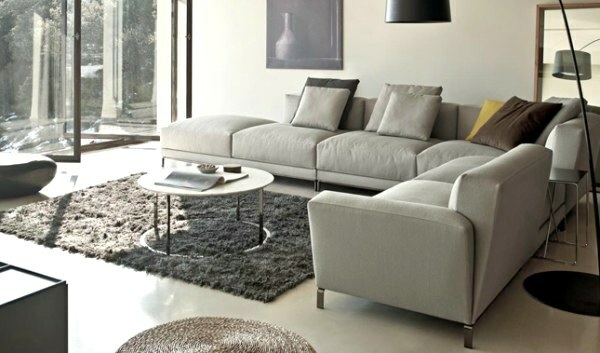 Sleek and simple, Designitalia’s gray modern sofa is compact yet comfy. Narrow and neutral, the piece somehow still manages to make a statement, thanks to the wonder of fabulous design! 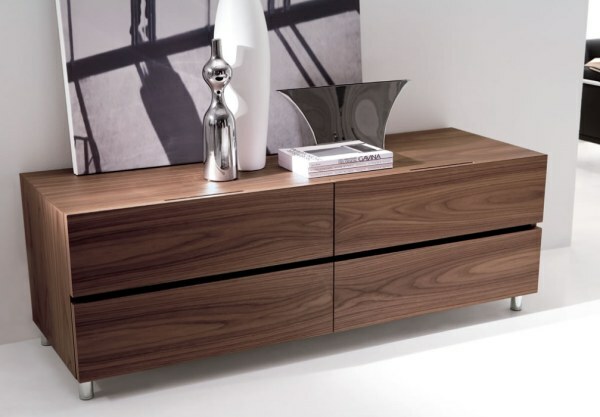 The modern furniture of MomentoItalia is made for nearly every room in the house. 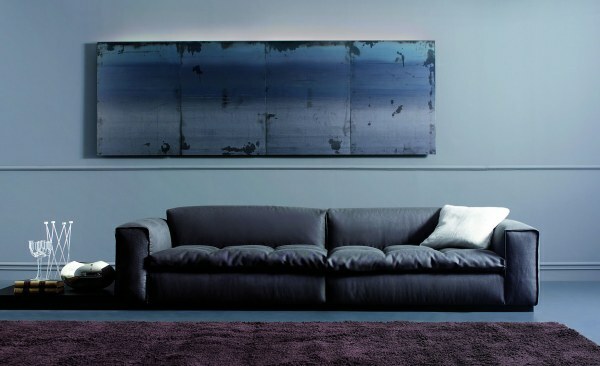 We start with living room seating courtesy of the urban-style sofa designed by Paolo Vella. Quilted feather seat cushions are a highlight, as well as the piece’s wide variety of customizable features. For example, the back is available in two heights, the sofa comes in many sizes, and you can choose from a variety of fabric and leather options! 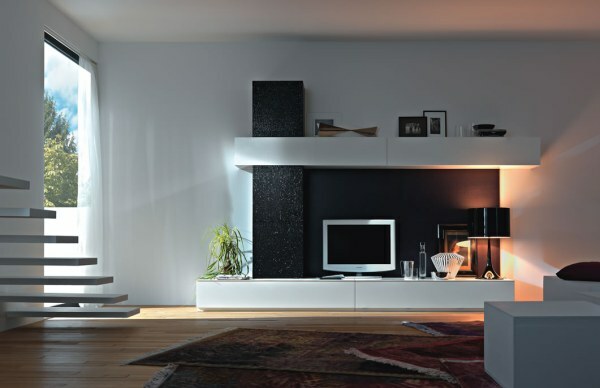 For large shelving possibilities, take a look at the modern Italian wall unit, available in a variety of configurations and layouts. This modular piece is crafted of wood and comes in a shiny high-gloss lacquer finish. If you want to transport the MomentoItalia look to your office, peruse their selection of business furniture! 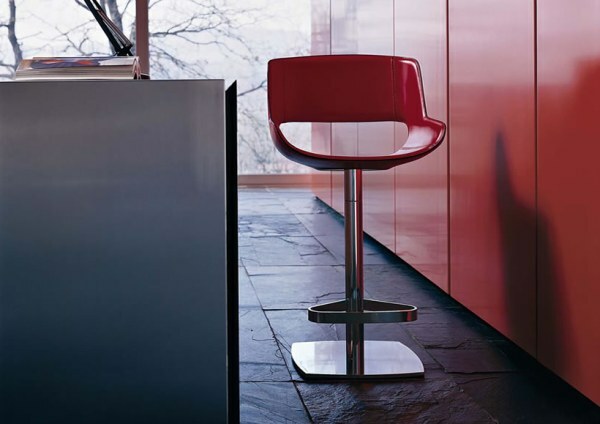 The modern office meeting table and chairs feature aluminum feet with a bright chrome or liquid aluminum finish. The table’s frosted glass top is available in a round, square or oval shape. Add some leather swivel chairs, and you’re set! 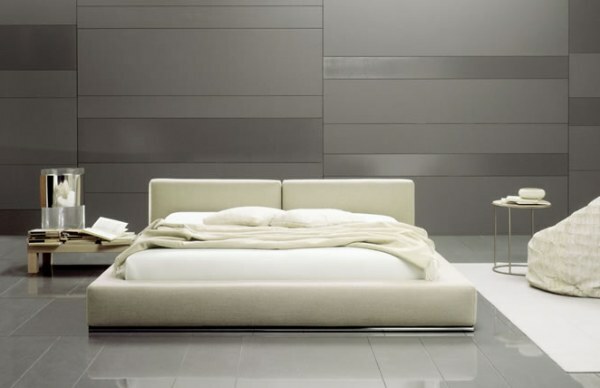 For style that’s low to the ground, check out the white modern bed, designed by M. Liparini. 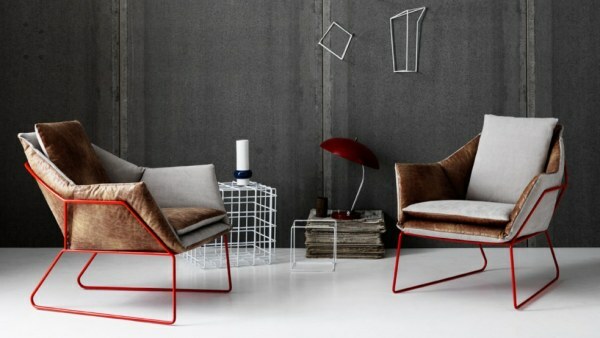 The piece features a platform base, as well as a fabric or leather finish. This designer bed is a scene-stealer, as is the silver-gray wall below! Classic and modern selections combine at Nella Vetrina, which features collections created by world-renowned designers. Exclusive furniture is presented in a series of gorgeous pictures rich with decorative ideas. 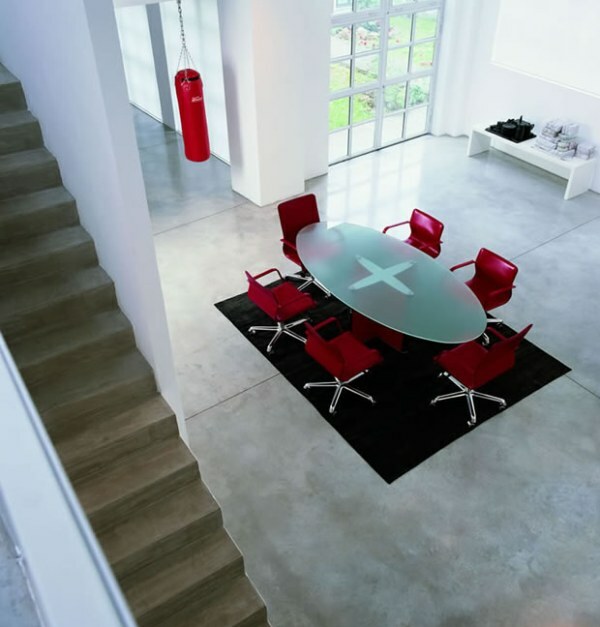 Below we see Kasteel, a desk that is available with a transparent or extra clear glass top. Not to mention, the glass can be ordered in a variety of colors. See those jointed legs? The joints themselves come in oak or wenge! If you like the concept of a display box, you’ll love the Dazibao bookcase, shown in the next image. Like the desk above, this piece is can be ordered with transparent or extra clear glass, and the glass comes in a variety of colors. Is the black finish too dark for you? Don’t worry–this furnishing also comes in white lacquer! It’s time to get circular with the Love Boat bed, a leather selection that comes with a matte lacquer or gloss lacquer base. A wide variety of fabric and leather options “round” out the piece. No pun intended! The next item is lovely in lavender! It’s Fariente, a square lacquered table featuring colored glass and a chrome metal base. In keeping with the tradition of customizable Italian furniture, this piece can be ordered in a variety of lacquered colors. Or keep it simple with a transparent or extra clear surface. Not sure if you like the square? No worries–a rectangle or round top is available as well! 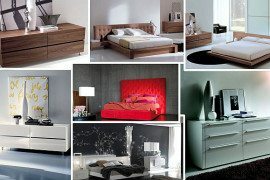 Are you ready for some unique and innovative furniture options? That’s what you get when you visit Saba Italia. 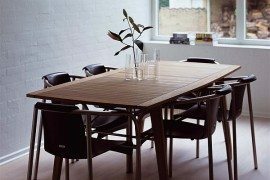 This quality company focuses on seating, like the versatile Ananta. Offering endless possibilities for layout and backrest options, the piece boasts a concept based on the idea of simple construction. What do you get when a bench meets tables? A Song for You designed by Paolo Grasselli! 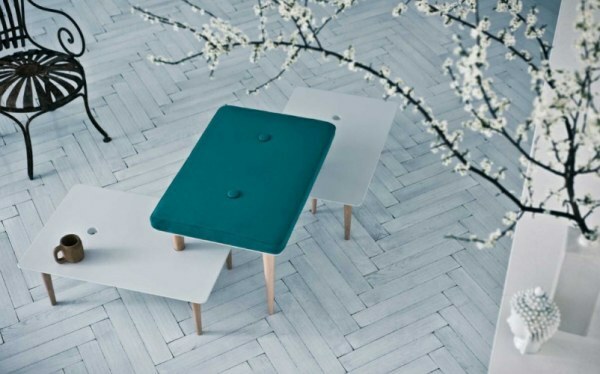 Two different heights and two holes on top result in an endless variety of configurations, as well as an option for colorful cushions on top. The New York eclectic chair by Sergio Bicego has a vintage-meets-modern look, thanks to a distinct varnished rod structure. Reversible cushions make the process of selecting the upholstery and color doubly rewarding! We end with the boxy yet sleek Pret a Porter armchair by Sergio Bicego, The piece’s wooden frame is padded with different-density polyurethane bonded with fine velvet. Ooh la la! The allure of Italian furniture is anything but an empty temptation. That’s right–these pieces are as substantial as they are pretty! In other words, they’ve got the goods to back up the style. Which style is your favorite? Are you more attracted to the minimalist modern items or the shiny showstoppers? Perhaps there’s room in your interior for both!